eobiont - Online lead generation for an international education franchise. Online lead generation for an international education franchise. 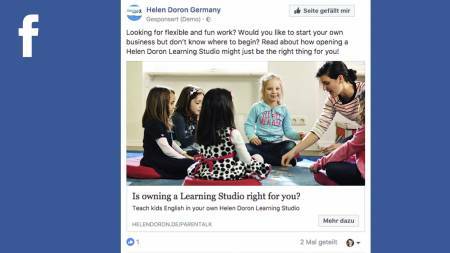 As the marketing agency for education franchise Helen Doron in Germany, an important part of our job is to increase student numbers as well as franchise locations. As part of our strategy, we use online advertising on multiple channels to generate leads and increase awareness within our target markets. As always, we develop a number of creatives to test. And as always we are surprised at which ones work the best. 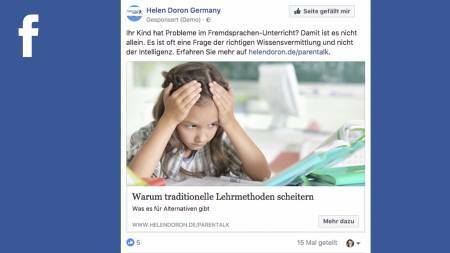 Since our main target audience for new students is mothers between 25 and 45 years old, Facebook and Instagram make ideal platforms. We use a combined strategy of direct call-to-action and content-driven ads. 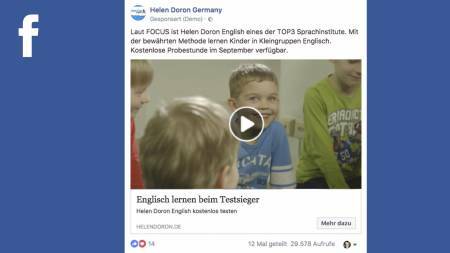 For our call-to-action ads we use both emotionally engaging videos of children having fun in Helen Doron classes plus a variety of still images. As always, we develop a number of creatives to test on the platforms. And as always we are surprised at which ones work the best. The ads link to landing pages, which have also been AB tested and optimized. 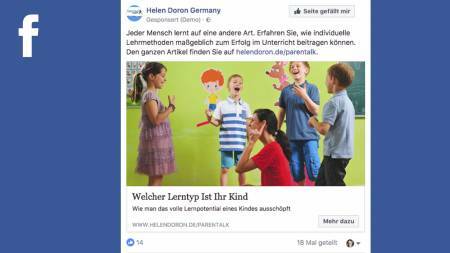 For the content ads, we created a blog called Parentalk. 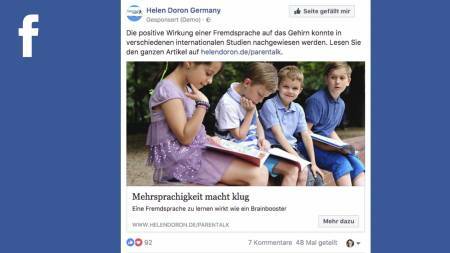 Ads link to relevant topics like multilingualism, early childhood learning and Helen Doron is an international education franchise specialized in teaching children English as a second language. A major part of our continuing work for them is to increase student numbers in Germany. They are already strongly positioned in search. 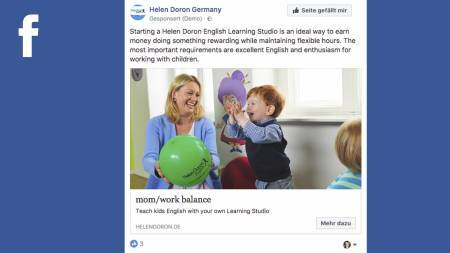 To boost sales, we need to reach out to parents who haven’t even considered the idea of helping their children to learn English as a second language. We also need to acquire franchisees to open new learning centers.